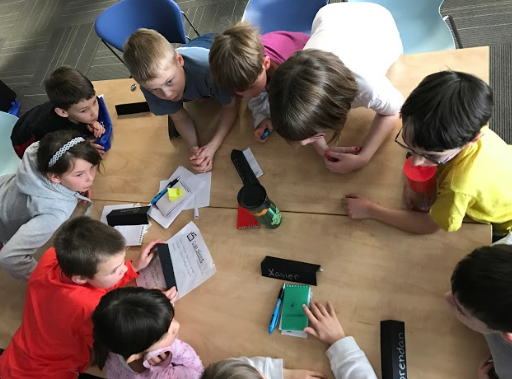 Last Friday marked the end of another successful March Break Camp, and while the STEAM-3D Maker Lab staff is exhausted, it was all worth it to see the amazing discoveries campers made throughout the week. This year, we kept our eyes on the horizon and introduced campers to the Internet of Things (IoT). These amazing technologies are all around us – in our homes, in the streets – and it only keeps getting bigger and more connected. 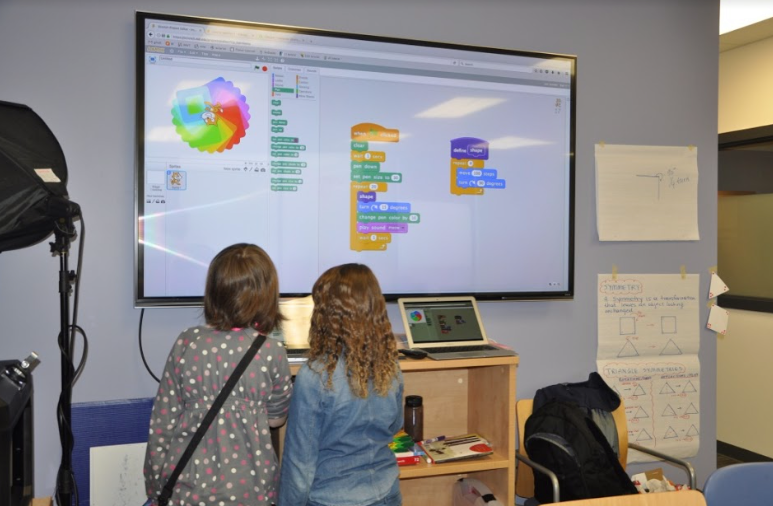 We feel that students should be exposed to these technologies, and have numerous opportunities to explore, create, and understand them as we march towards a future that will see our entire world connected through IoT – and we wove this perspective into our March Break Camp this year. 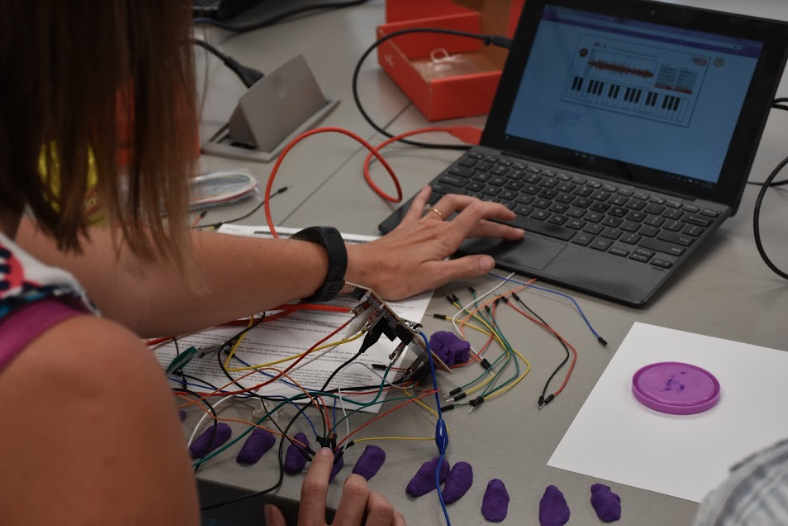 We kicked off our week by looking at three main technologies that students could choose from to design their IoT-inspired creations: littleBits, micro:bits, and Arduino. 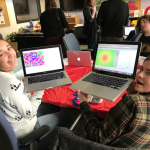 They learned to create circuits, power lights, hook up sensors, code through a variety of platforms (Scratch, micro:bit block and micro:python, and C/C++), and had a fun-filled, exploratory first day. The, the rest of the week was theirs! 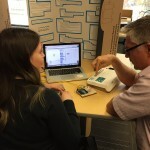 We explored IoT in more detail, discussed its possible uses and pitfalls, and they worked towards the creation of an IoT-inspired passion project. The end of the week came far too soon and we were sad to see our campers go, but are ultimately so proud of what they were able to accomplish. Thank you to our campers, staff, and sponsors (Western University, InkSmith, and Dell Canada) for an amazing week! Stay tuned for more programs from the lab, and we hope to see you all next year! Getting energized on Day 1! The STEAM-3D Maker Lab opened its doors to prospective students and their families during this year’s Open House. 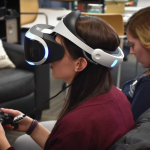 Attendees were invited in to explore and play with some of the technologies that we use in the classroom, learn about our research and connections with local schools, and discuss the role of making, design, and technology in the future of K-12 education. We had some amazing conversations and were inspired by the enthusiasm, curiosity, and passion that these future educators have for their field! 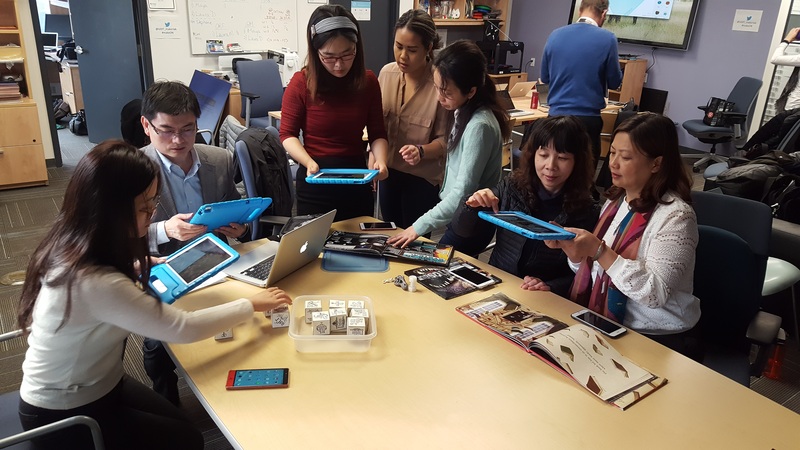 On October 25th, the STEAM-3D Maker Lab welcomed Joel Hartling (York University), Dr. Anning Ding (Jiangsu Education Services for International Exchange), and twenty-six professors of education from the Jiangsu province of the People’s Republic of China. 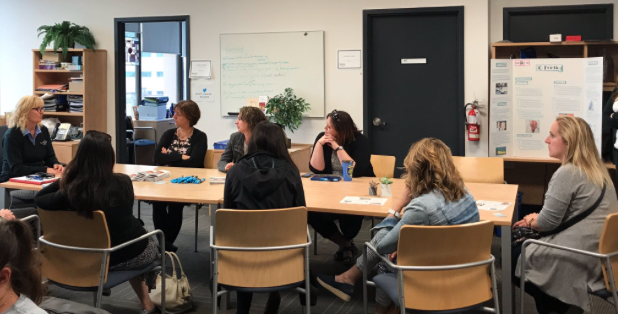 After spending their morning touring UOIT, these educators arrived at our lab excited to learn about making and makerspaces. After Dr. Janette Hughes provided a brief introduction to our Maker Lab and discussed some of our current research, it was time to get making! 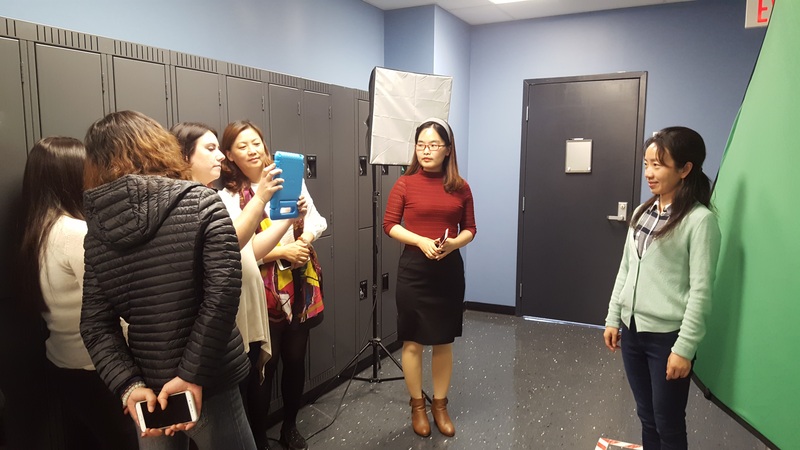 Our guests were given the opportunity to try out the green screen, programmable robots, Chibitronics, 3D printing and design, and augmented/virtual reality. In every session, the educators collaborated to solve problems, share expertise, and get creative! 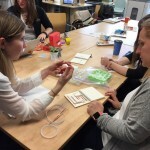 We were very excited to share some of the ways that making and maker pedagogies can be used in the classroom, and can’t wait to hear about what these educators do next. Thank you for visiting! Tinkering with 3D Printing and CAD software. Having fun with the green screen! This week marked the beginning of the MOE project for 9 new Ontario school boards. 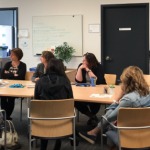 As many of you know, the MOE project that UOIT participated in during the 2016/2017 year was extended for the 2017/2018 year, with 9 new school boards being welcomed onto the project! When we found out that the Ministry wanted to continue with the project, we were absolutely thrilled and began our planning right away (we were that excited). 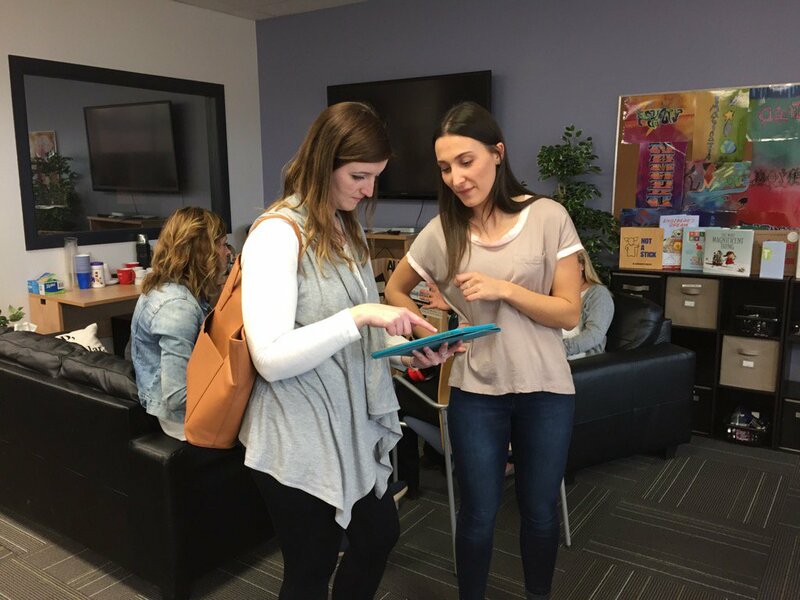 The days of September 26 & 27, the 2nd year cohort (2017/2018) teachers/schools were brought into the UOIT Faculty of Education building, to begin their Makerspace journey. Day 1 consisted of various breakout sessions where different Makerspace tools, technologies and pedagogies were highlighted for the participating teachers. 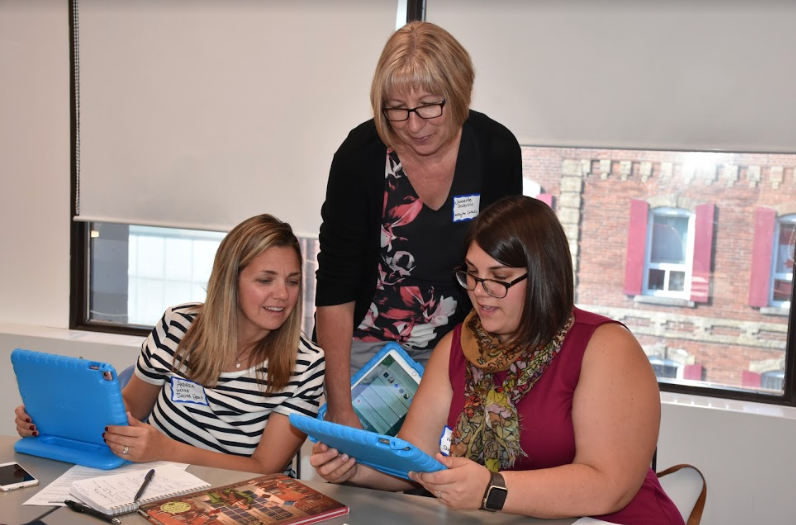 The teachers were given the opportunity to gain some hands-on experience with these tools and technologies before bringing them back to their own schools and classrooms. 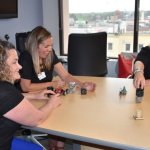 Throughout the breakout sessions, the teachers were supported by the STEAM 3D Maker Lab researchers and leaders, who offered insight as to how to best incorporate the tools and technologies into learning, and to field any questions the teachers had. 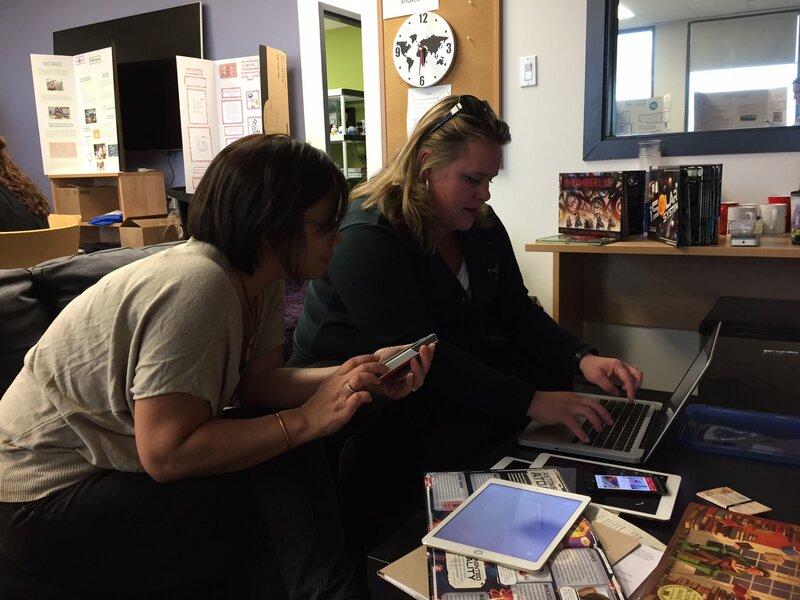 It is great to see the teachers dive right into experimenting with the tools and technologies before them! Day 2 saw our 1st year cohort (2016/2017) teachers/schools welcomed back into the building to share their knowledge, experiences, challenges and expertise on creating a Makerspace/Maker culture in their schools, with our 2nd year cohort teachers. We started our day off by gathering as a large group in our lounge, to listen to the original 11 schools present on their Makerspace journeys. Listening to the 11 schools discuss how Makerspace practices changed their school atmosphere and community, was inspiring. 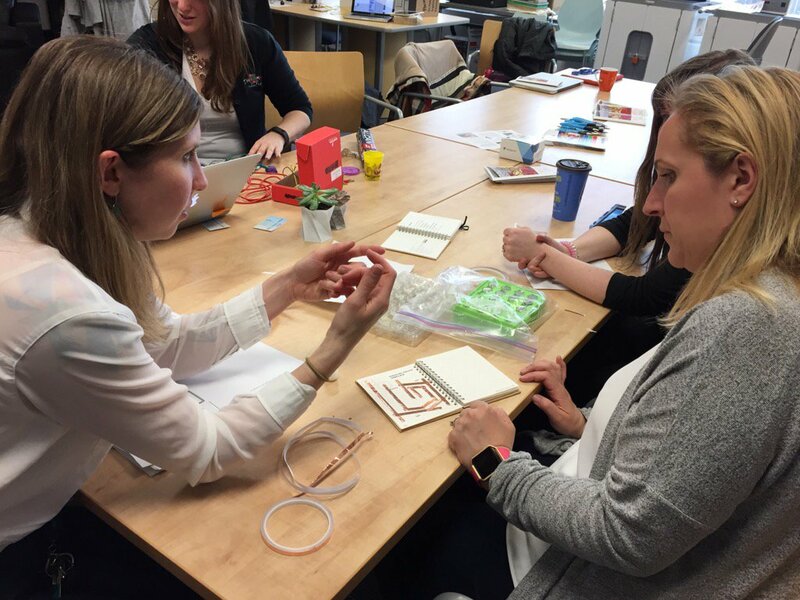 These schools shed light on how to go about starting a Makerspace from the ground up, and shared the obstacles they had to overcome when establishing such a community in their schools. 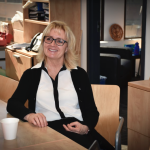 As we have said before (and we will say again), the teachers involved in the MOE project are teachers that clearly have a passion for innovation and for allowing their students to take control of their learning. The 2 days were filled with excitement for Makerspace culture/practices and a willingness to try new way of learning in the classroom. 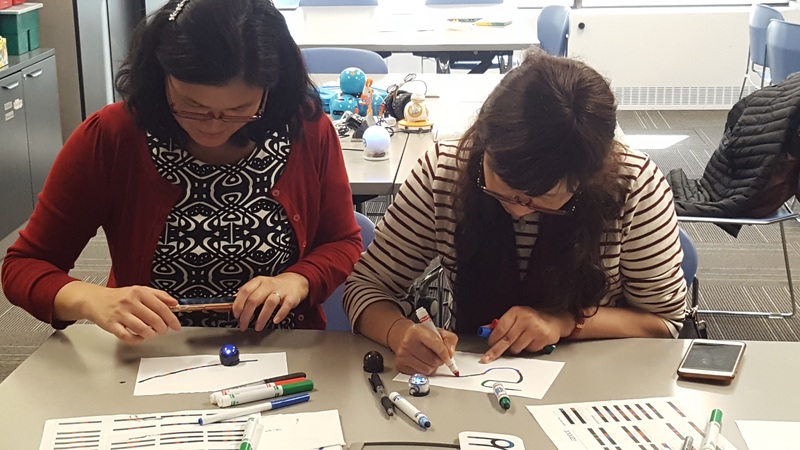 We are so excited that the MOE project has been extended for another year, and look forward to learning along with the teachers involved, and supporting them through their Makerspace journey. 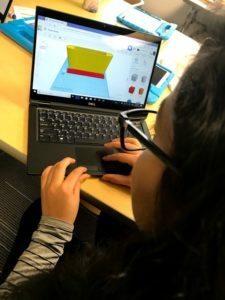 As one of our amazing schools said, “if you build it, they will learn” – Makerspace gives students the ability to take their learning in a direction that they have never gone in before, thus creating new experiences and new passions for students. 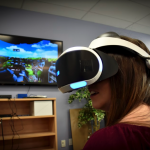 Check out our STEAM-3D Maker Lab Facebook page for even more pictures! 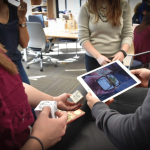 Picture this: different Makerspace technologies set up in a room for educators to come in and get their hands on, to tinker with and play with and to ask questions. 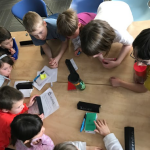 That is exactly how the STEAM 3D Maker Lab’s Science Odyssey evening on May 16, played out. 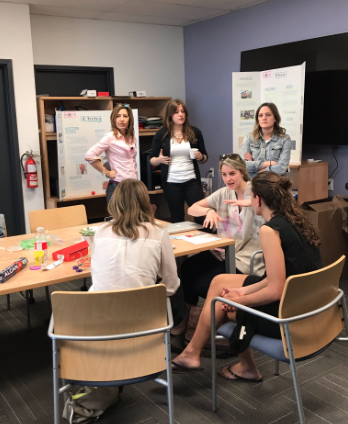 The Lab hosted a, “How to Start a Makerspace” session to support the Science Odyssey campaign that is Canada’s largest celebration of science, technology, engineering and mathematics. 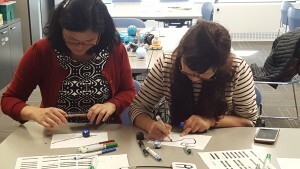 Educators from the Kawartha Pine Ridge (KPR) District School Board in the east, all the way to educators from the York Region District School Board (YRDSB) in the west, and educators from Boards in-between, came into the Lab to partake in this Makerspace session. Each hour long session began with a large group conversation. 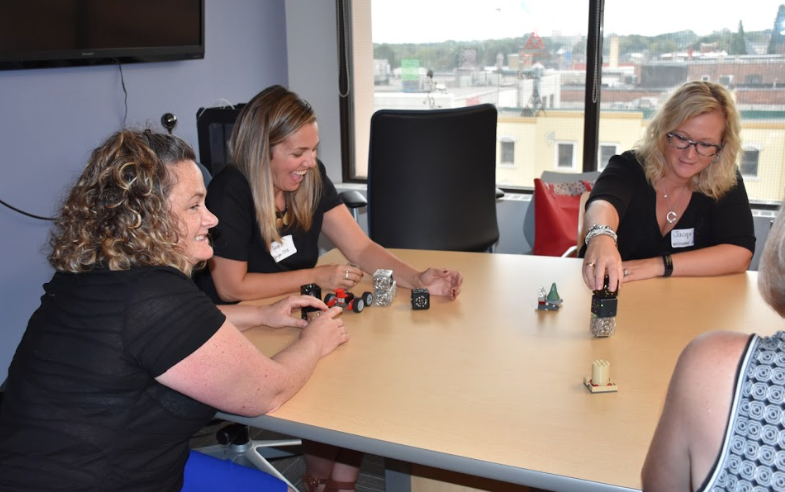 Educators were provided with tips and tricks from Janette Hughes when going about starting their own Makerspace. 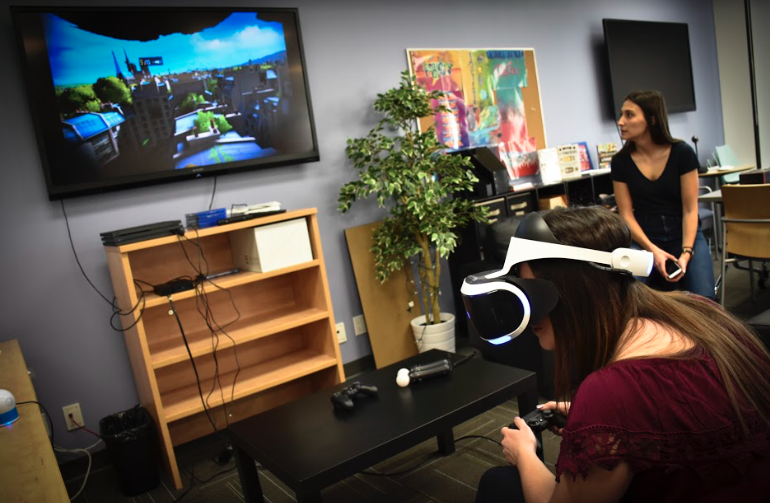 From there, educators were encouraged to travel around the Lab and gravitate to the technology that peaked their interest the most. Stations were set up that offered the educators information on the specific technology, grade level activities, curriculum connections and the best way to present the technology into a lesson. Stations that were presented were; Programmable Robots, 3D Printing, Augmented and Virtual Reality, Arduino Uno, Green Screen and Circuits. It was clear that the educators involved all had a passion for Makerspace pedagogy. 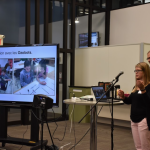 The beauty of the evening was that there were educators that had been instilling Makerspace practices into their classrooms for the duration of the year, and educators that were eager to start doing so. From every corner of the Lab, you were able to hear educators offering each other knowledge of the technologies that they had experience using and questions that were directed at our Lab staff, all of which centred around making the learning more engaging for the students by incorporating technology into the learning process. 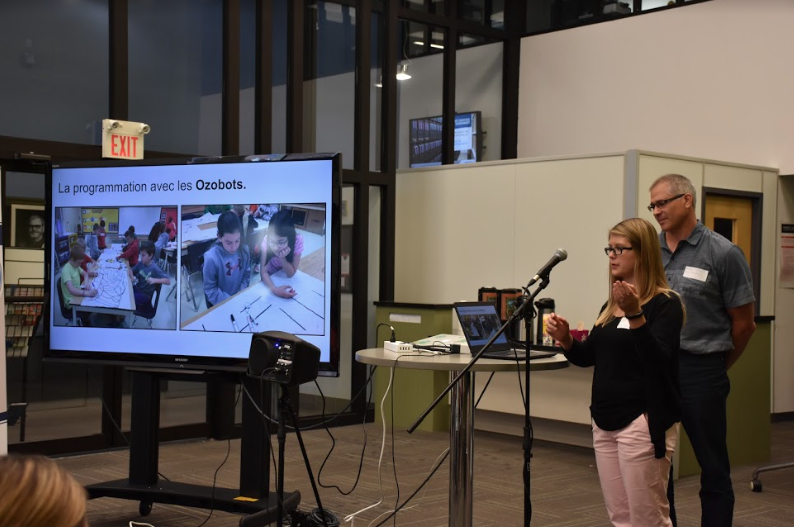 The evening proved that the Makerspace way of thinking is starting to ingrain itself in schools around Ontario. 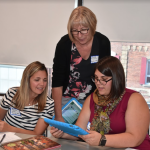 We are so excited to see how each of the educators involved take the knowledge they learned from our Science Odyssey session, and incorporate it into their everyday teaching! Janette Hughes getting the evening started. Laura Morrison showing educators the versatility of papertronics. Lauren Fridman discussing how to incorporate 3D Printing into everyday learning. Maya Staresinic sharing math connections that can be made with Sphero. Laura Dobos teaching how to get started with Arduino Uno. Augmented Reality expert Melanie Maas. The 2017 March Break Maker Camp at the Faculty of Education at UOIT was an incredible success! 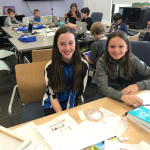 Campers entered the Steam 3D Maker Lab with an enthusiasm and sense excitement about using Makerspace technologies that persisted steadily throughout the week. 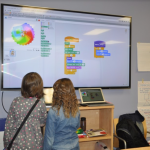 The camp started off with campers being shown an array of programs and technologies that centered around STE(A)M concepts such as; Scratch (Jr. and 2.0), Lightbot, Ozobot, Beebot/Bluebot, Green Screen, Google Sketchup and Bloxels just to name a few. 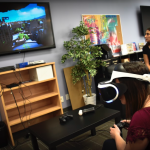 Campers were given the opportunity to engage with as many technologies as they saw fit before gravitating to the ones that they enjoyed the most. The goal for the week was to create either a story or project that held significance to each individual camper. Using the programs/technologies that they engaged with, campers were able to enhance their final projects by making them as interactive and deep-rooted in various learning concepts as possible. The grit and perseverance that each camper displayed while creating, making and problem solving was great to see. Right from the get-go it was clear that this group of campers supported and encouraged one another in all situations. Seeing campers help each other when they were experiencing difficulty with something was wonderful! Watching the camper’s creations, final projects and stories come to life using various technologies was truly a treat. On the very last day of camp, the camper’s families were invited in to see what their children/siblings had been working on throughout the week. The families were amazed by what the campers had created, asking questions and inquiring more about, “how did you do this?!”. A huge thank you goes out to all of our campers, staff and volunteers for making this March Break one for the books! 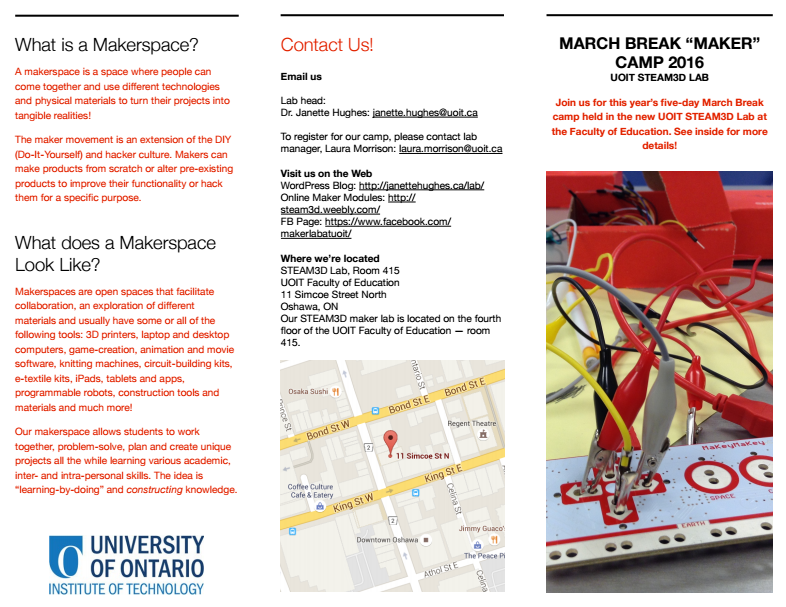 We are already looking forward to the 2018 March Break Maker Camp. Showing off what math + art can create! 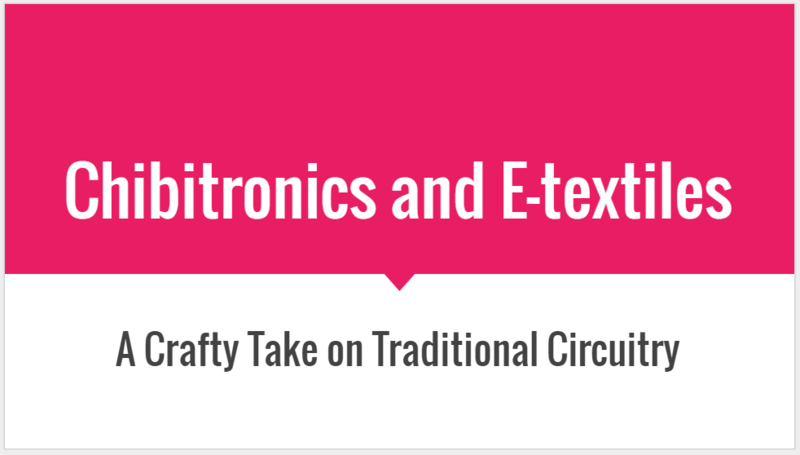 Using Chibitronics is so much fun! On Saturday March 4th, we had the luxury of speaking to prospective UOIT teacher candidates at the UOIT Faculty of Education Open House. 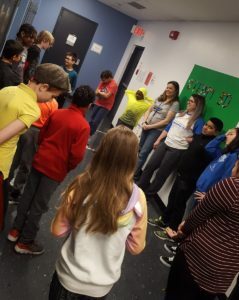 Many bright-eyed and open-minded students came walking through our STEAM 3D Maker Lab doors with parents, siblings, and fellow applicants, filled with questions and curiosity surrounding Makerspace pedagogy. 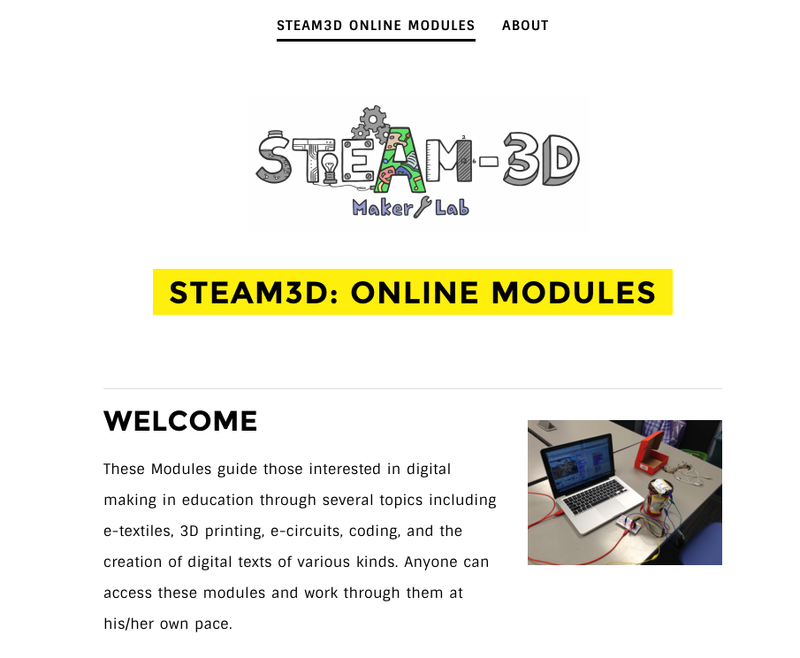 We were able to speak with many students and explain what we do in the STEAM 3D Maker Lab, as well as gave them the opportunity to try out and explore the great technologies that can be found within the Lab. 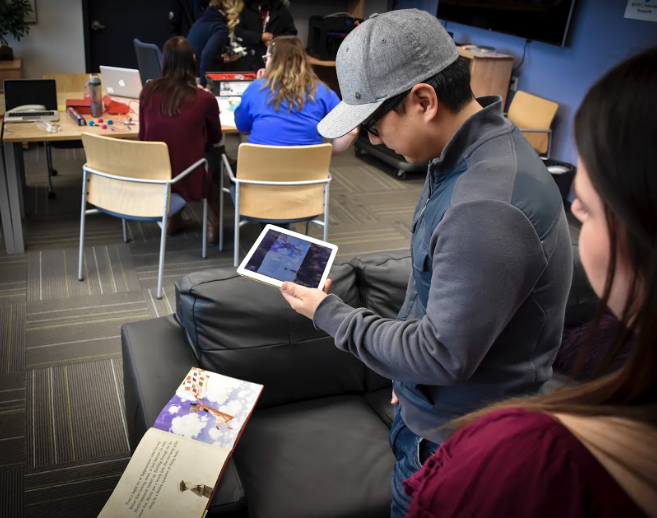 Students left with new knowledge surrounding the Makerspace mindset and a drive to continue to explore such an amazing part of 21st-century education, before officially starting their program at the UOIT Faculty of Education. 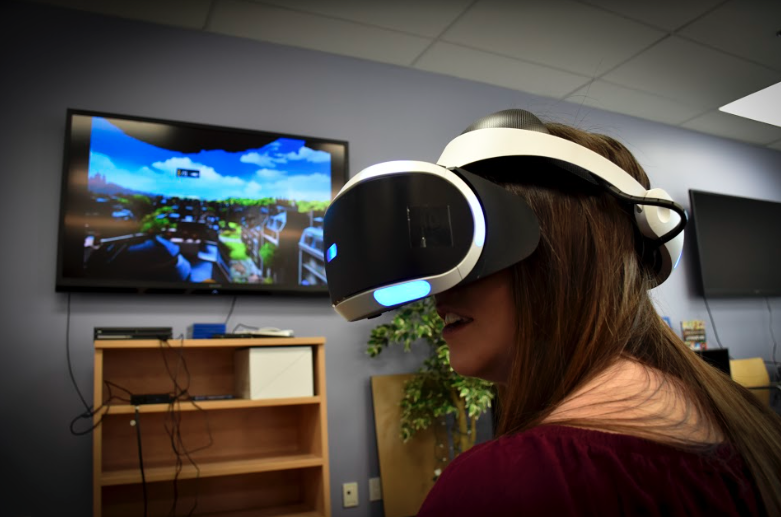 Trying out our Playstation VR. 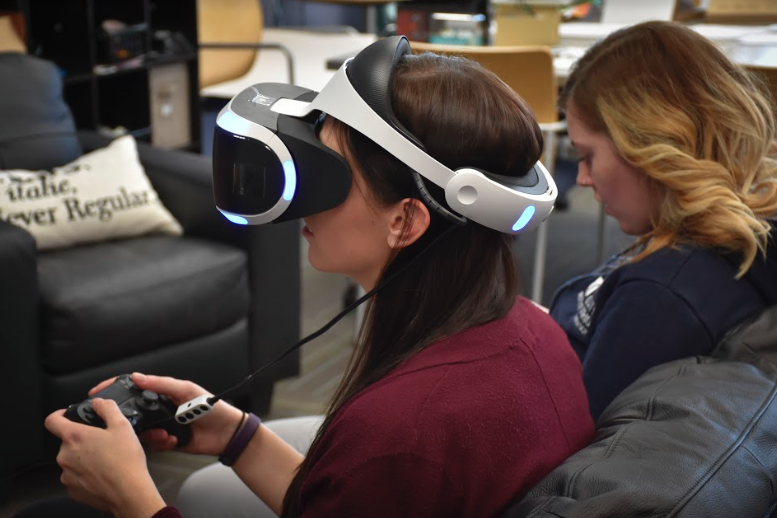 Getting into the game with Playstation VR. 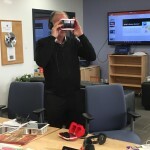 Prospective student exploring the capabilities of Augmented Reality. Looking at chemical elements through Augmented Reality. 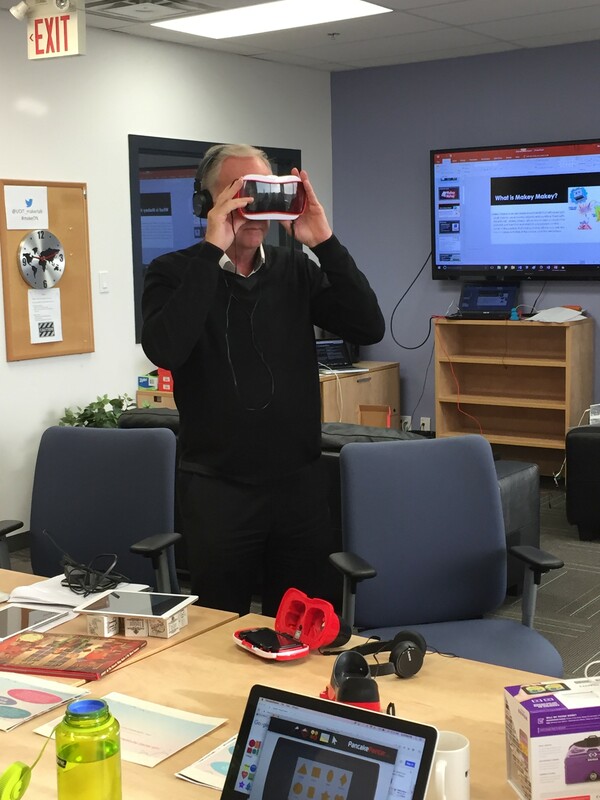 On Friday January 13, 2017, the STEAM 3D lab was visited by the Assistant Deputy Minister at the Ontario Ministry of Education, Martyn Beckett. 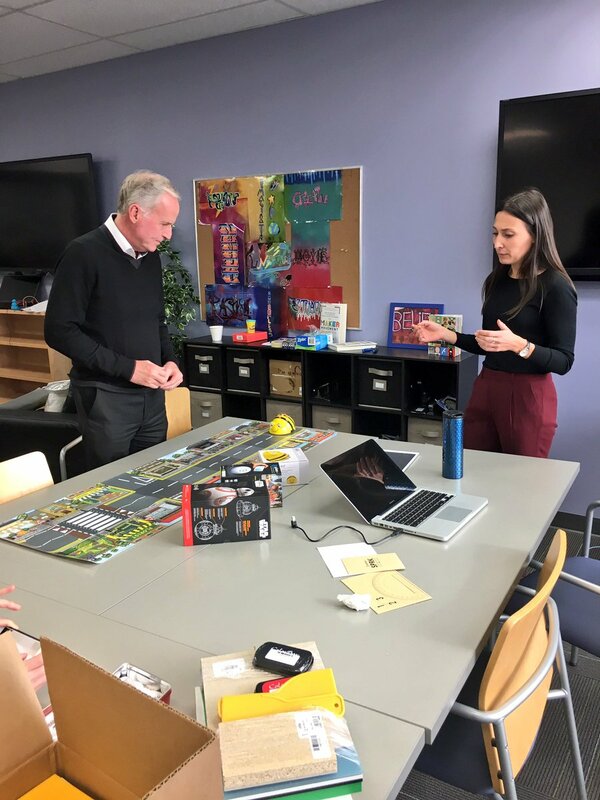 The lab team walked ADM Beckett through a variety of tools including 3D printing technology, programmable robots, virtual and augmented reality, and coding with Makey Makey, amongst other tools. 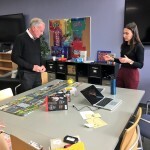 Along with some other staff at UOIT and a visitor from the DDSB, ADM Beckett was able to tinker, explore and learn about the ways in which makerspaces and making (both digitally and tangibly) are remixing what we consider education. Coding with the lab’s new BeeBot. 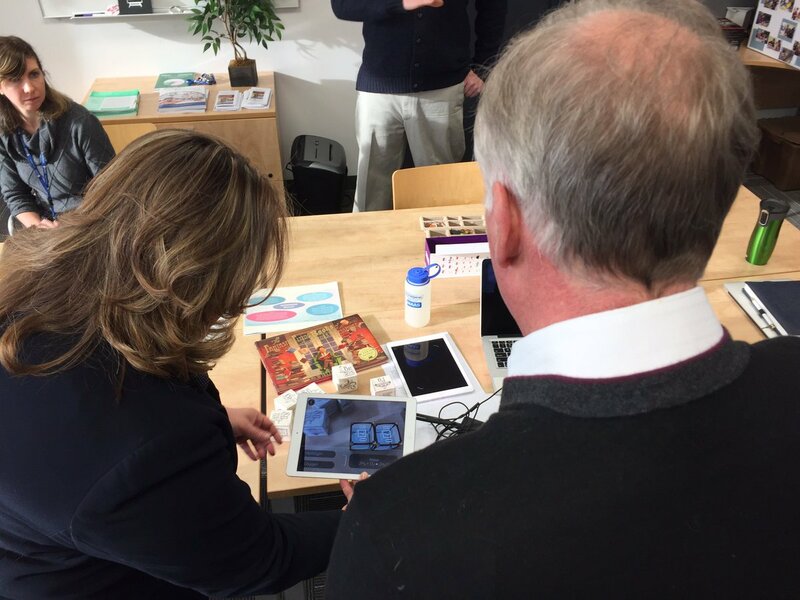 Exploring literacy through Augmented Reality. Travelling the world from the comfort of the lab. 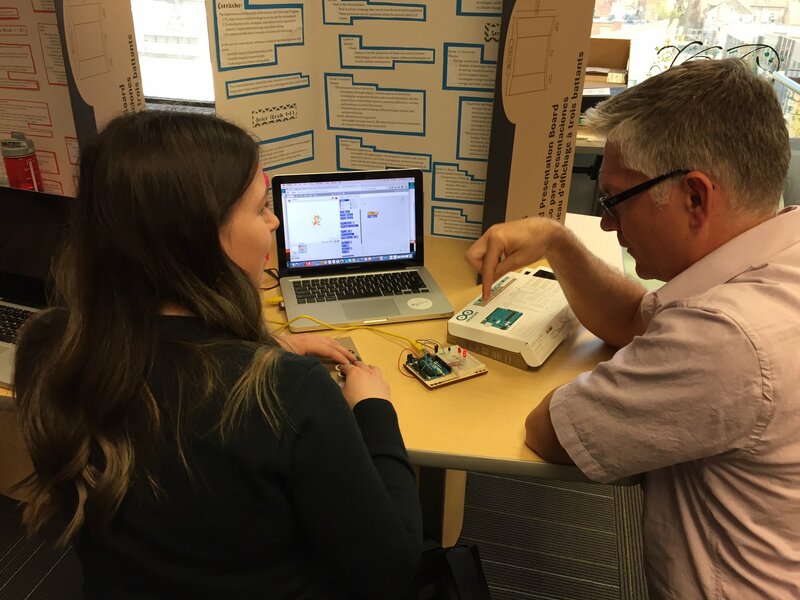 This past Thursday and Friday, October 27 & 28, 2016, we had teachers, administrators and Ministry of Education representatives from all over Ontario come visit us in our Makerlab, to learn about maker activities and how they might be incorporated into their learning environments. One of the activities we had fun doing was art with circuitry – what’s better than making art with flashing lights?! Enjoy some of the footage we put together from Friday’s special guest Gabriella Solti! 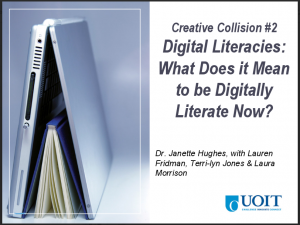 For more information on her work please refer to our Guest Speakers page. Additionally, more information about this Council of Ontario Directors of Education (CODE) and Ministry of Education (MoE) project can be found within our Science 3D tab. The STEAM-3D Maker Lab lead social services partners in the Durham District through a full-morning session on Digital Literacies, the need to promote these in various educational, social and economic spheres, and various digital and makerspace tools. The goal of the meeting was to connect with and develop local community partnerships and to provide the community with various digital tools for personal and professional use. 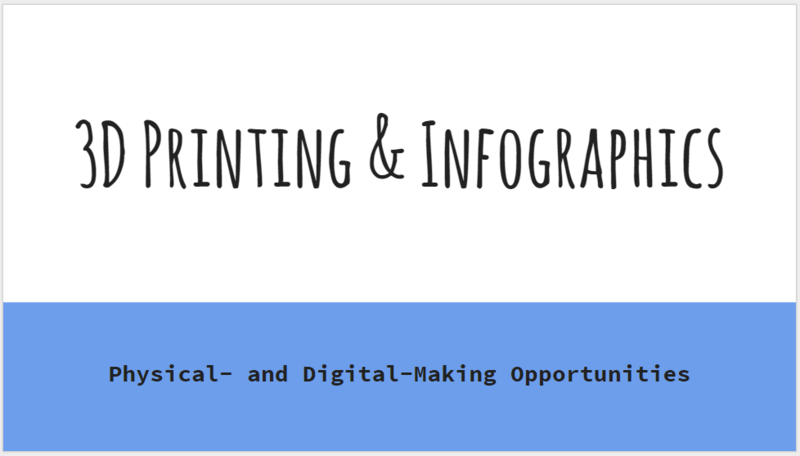 Below are the presentations we used during this teaching and learning session. At the beginning of this new B.Ed. 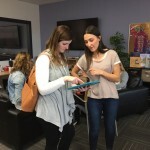 year — the first of the new two-year program in Ontario — we wanted to introduce the teacher candidates to a new way of teaching and learning early on as part of our effort to emphasize inquiry-based, digital learn ing. 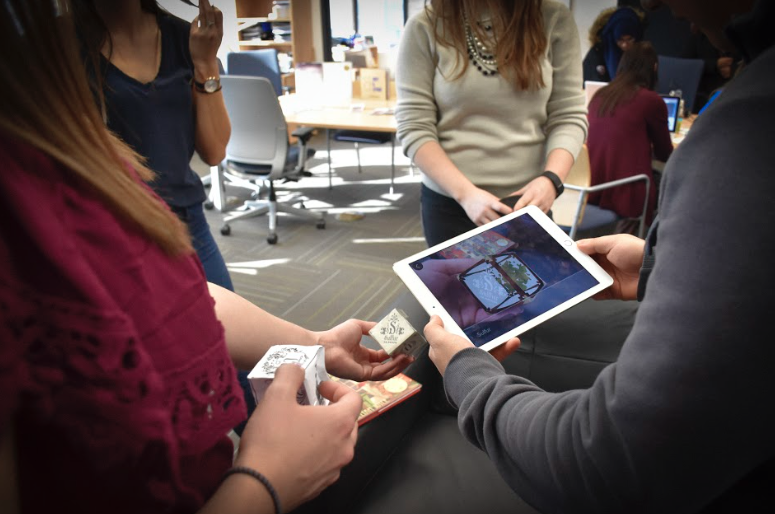 As a result, our STEAM-3D lab collaborated with other faculty members to organize a Makerspace Day for I/S and P/J students. The sessions included: Making with Makey Makey where teacher candidates created tangible controllers for Scratch games and animations; e-textiles & circuits, where students were given materials such as conductive thread, fabric, sewing materials, copper-wire tape and LEDs, a brief intro to circuits and tutorials guiding them on what they could possible create. Within the half-hour session, many students were able to create (with limited, or no background in circuits or e-textiles), LED-embedded bracelets, mini, LED-embedded stuffed animals and LED-embedded paper-based art pieces; 3D printing where students learned Tinker and printed small 3-D objects and tangible construction where students planned/designed an object, like a car or bridge, and constructed it using wood and glue in the session. 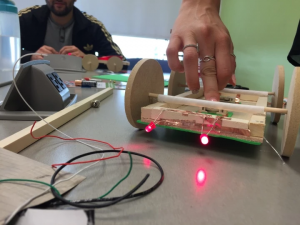 Many students then took what they created in this session and embellished their pieces in the circuits session with LED lights (such as a car with headlights). Makerspace pedagogies encourage and promote perseverance, resiliency, problem-solving and an approach that supports learning from “failure”. 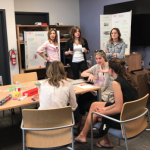 Before and during the sessions we emphasized process work through reflection and collaboration and tried to de-emphasize final products. Robots. 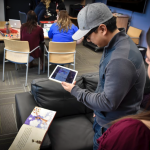 Within each of the modules students are asked to complete: research articles, self-directed learning walkthroughs and tutorials, additional media to support learning and differentiated assignment options. 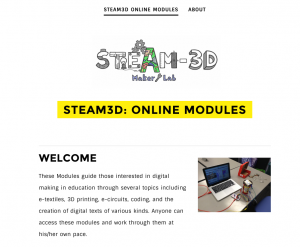 To view the online modules see: http://steam3d.weebly.com/ Currently, selected B.Ed. and M.Ed. 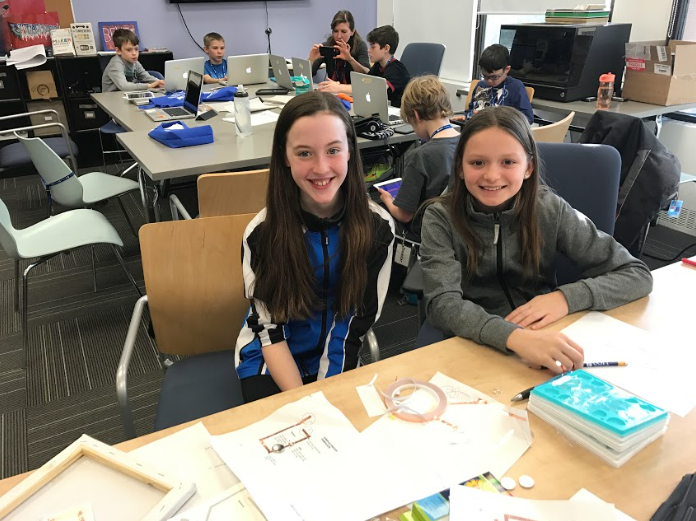 students are working through the modules at their own pace and come into the lab at designated times to work with the maker tools, learn collaboratively and possibly complete one of the various field activities attached to the modules. In addition to the Maker Modules pilot study, we are working with a local, high-needs elementary school to create a Makerspace Club. 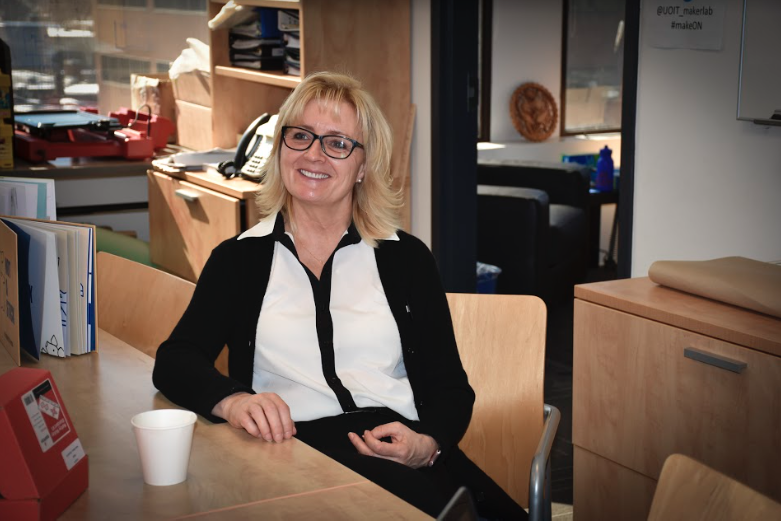 This project, part of a SSHRC-funded partnership development grant, focuses on the use of makerspace pedagogies to address school-community issues, including an anti-bullying initiative led by Dr. Jennifer Laffier. Included in the project is the creation of a school-based anti-bullying team that is student-led. The idea behind the initiative is for students in the maker club to become the ‘agents of change’ amongst their peer groups and to demonstrate their leadership and agency through the creation of different digital projects related to bullying prevention (ie. 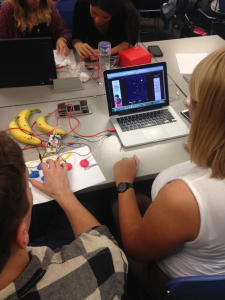 light-up LED bracelets, infographics, anti-bullying videogames using Scratch and Makey Makey). 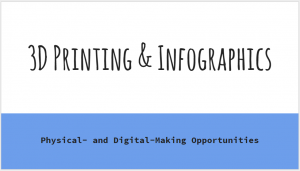 In Part II of the club, math professor Dr. Ami Mamolo will be guiding the students in understanding the math/numbers behind infographics — how to critically read and understand an infographic and how to create one. 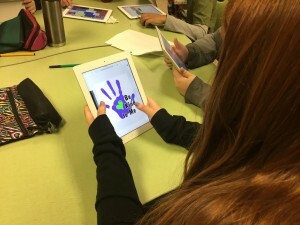 In this context, the students will create infographics connected to the statistics and data they gather on bullying in their immediate classroom, school environment and Canada in general. We are now in the process of planning for a STEAM Makerspace Camp, which we will be offering this March Break to local students. The camp will run for the five days of the March Break (Mon. 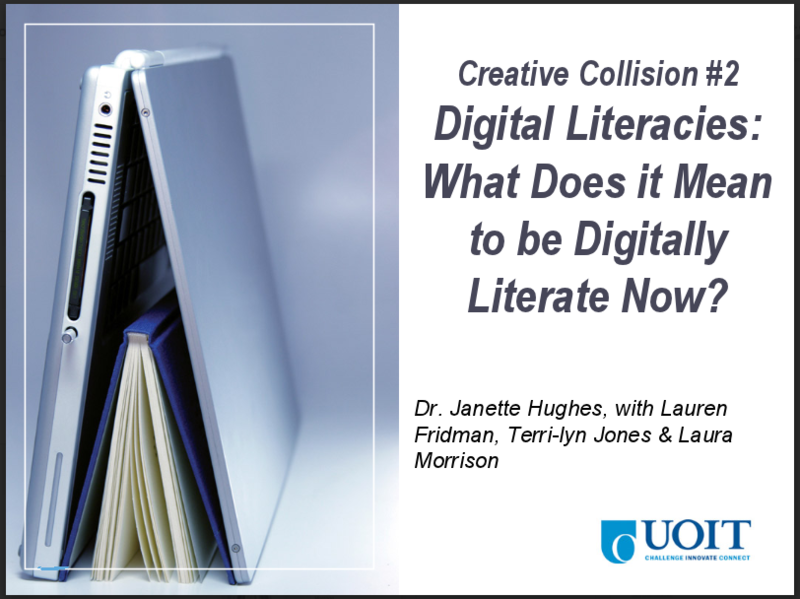 March 14 – Friday March 18) and will be divided into morning and afternoon sessions, where the mornings will concentrate more heavily on math and the afternoons — on literacy (all in relation to makerspace environments, pedagogies and tools). In the math and coding morning sessions participants will learn to code and to create their own video games and animations. 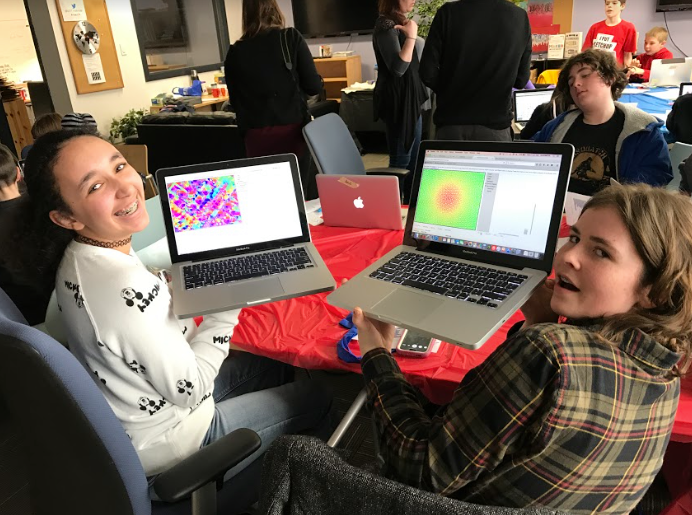 This will be run by a visiting math and coding expert, Iain Brodie, and is co-sponsored by The Fields Institute for Research in Mathematical Sciences. The afternoon sessions will have a literacy and arts focus where participants will learn how to use various makerspace tools like circuits, 3-D printers and e-textiles and they will use these tools to create unique projects connected to an exploration of the self and “positive power”. 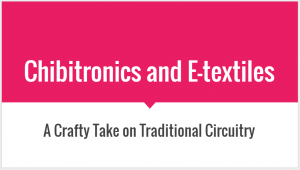 Students will make, for example, infographics to explain who they are, they will use Scratch and Makey Makey to represent individual strengths and paper circuit creations using Chibitronics to represent positive power. 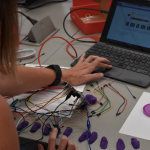 LilyPad and LittleBits will also be used to demonstrate friendship and connection and 3-D printed symbols will be created at the end of the week to represent learning over the course of the week. Embedded and emphasized in the whole learning/creation process: collaborative learning, troubleshooting/problem-solving and reflective practice. 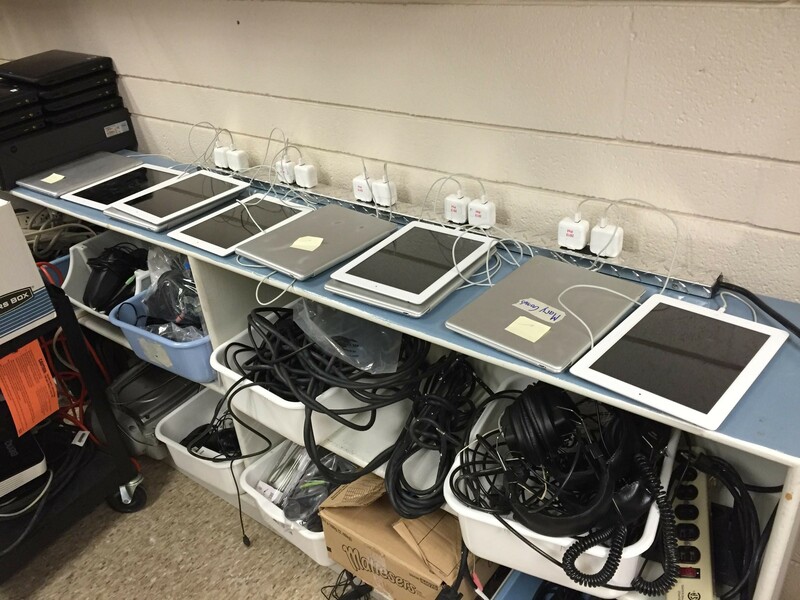 Students will be asked to complete periodic self check-ins recorded in journals or in audio and/or video interviews where they reflect back on the process in order to fix problem areas (related to task process work and also inter- and intrapersonal process work).